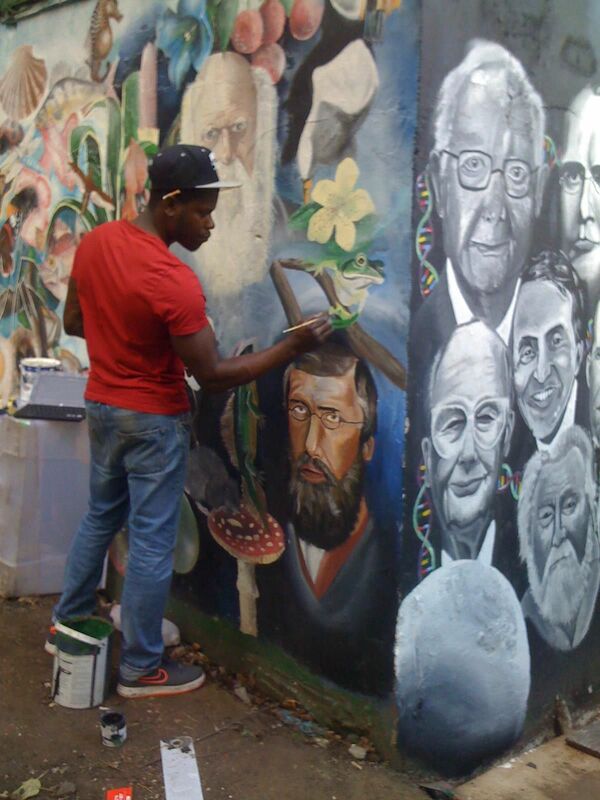 Marlon created the New Leaf Murals at West Dulwich train station. 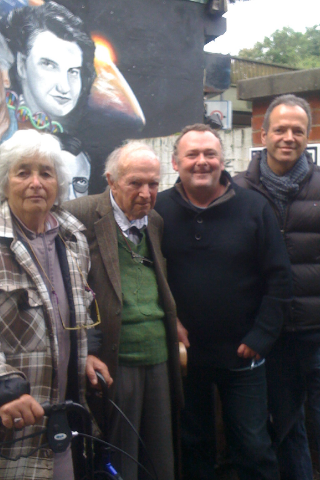 His work is part of Whitechapel Art Gallery’s Reclaim the mural exhibition. He is now available for commissions, Family Portraits, Nursery Artwork, Community Murals etc. If you want to hire Marlon for any projects inbox your details to his facebook page. 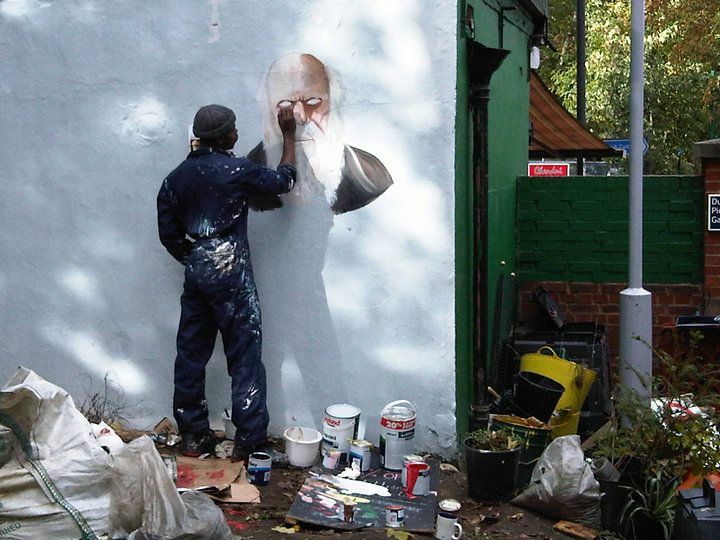 Artist BURNZ paints Alfred Russel Wallace on the New Leaf ‘Wild Wall’.